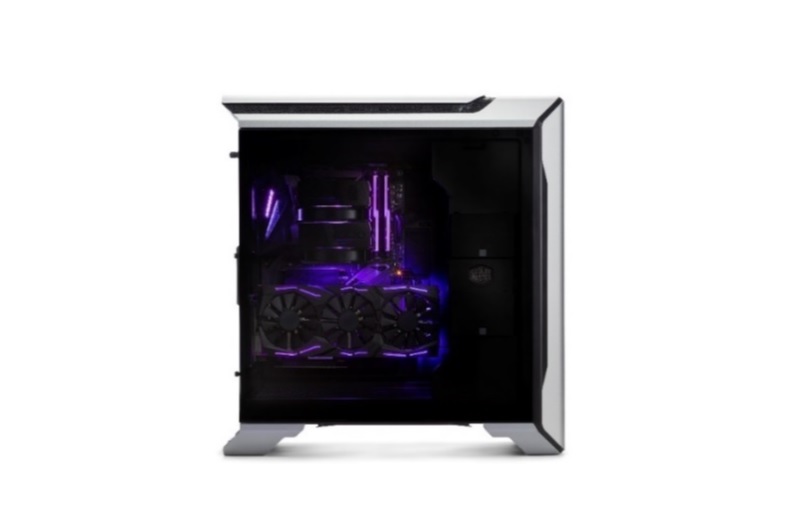 January 22, 2019 Source : coolermaster.com News . Mumbai, India - Cooler Master India launches the MasterCase SL600M, marking the start of the “Sleek” SL series. Professional design meets gaming performance, blurring the line between work and play. Vertical Chimney Effect Layout – With the 200mm fans that take in air from the bottom, hot air rises out of the case and exits out of the top in a natural direction for efficient thermal performance. Noise Reduction Technology – The design of the panels inhibit noise from escaping toward the individual. The 2x200mm fans move comparatively larger volumes of air than smaller fans in lower RPM and can operate even quieter by manually controlling the fan speed slider found on the I/O panel. Premium Aluminum Paneling – The top and front of the case are clad in premium anodized aluminum with a smooth, sand-blasted finish. Versatile Storage Brackets – The SL600M has versatile brackets that can mount an SSD, HDD, a water pump, or reservoir. These brackets can be placed in multiple positions inside the case, including being placed behind the front panel and on the bottom radiator bracket. Advanced I/O Panel – A proximity sensor triggers the USB lighting for easy access in the dark. The panel will stay temporarily lit before turning off automatically. Furthermore, the I/O panel has a USB 3.1 (Gen 2) Type-C port, four additional USB ports, a PWM fan speed slider, a headset jack (audio + mic), and a dedicated microphone jack. The headset jack supports headsets that use a single plug for microphone and headphone signals. The vertical layout, the 200mm fans, and the front and rear panels all function to support the natural convection of heat. Airflow is unobstructed with the PSU placed out of the way, while the panels have minimal holes to prevent the recirculation of heat as they efficiently guide the flow of hot air through the chassis and out of the top. Component fans, like the graphics card or CPU, rely on thermal feedback to control their RPM. Cooling to those components results in a lower RPM, reducing system noise. The design of the panels also address noise reduction by inhibiting noise from escaping toward the individual, or bouncing off of neighboring walls. The 2x200mm fans were chosen in place of smaller fans because of the comparatively lower RPM required to move a large volume of air. Fans will operate even quieter by manually controlling the RPM with the slider found on the I/O panel. 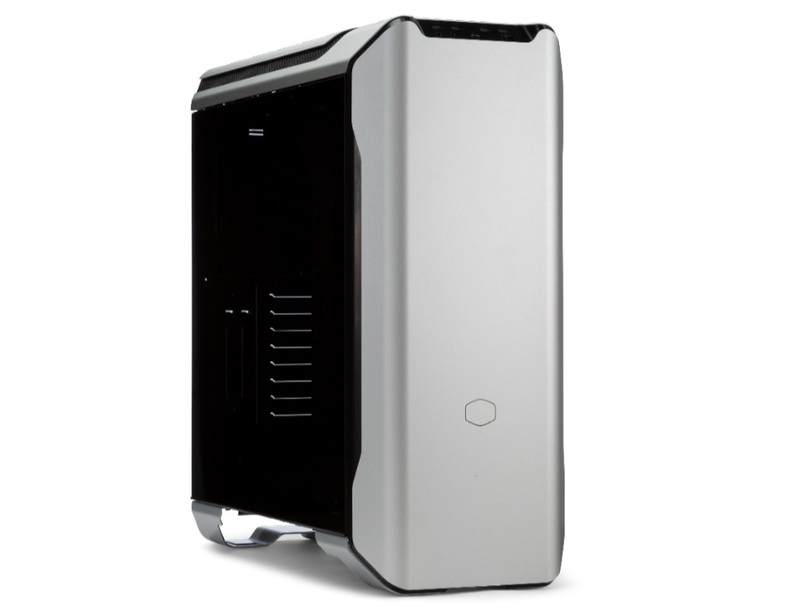 The MasterCase SL600M addresses both noise reduction and thermal efficiency; gaming can become quieter while noise reduction can run cooler. 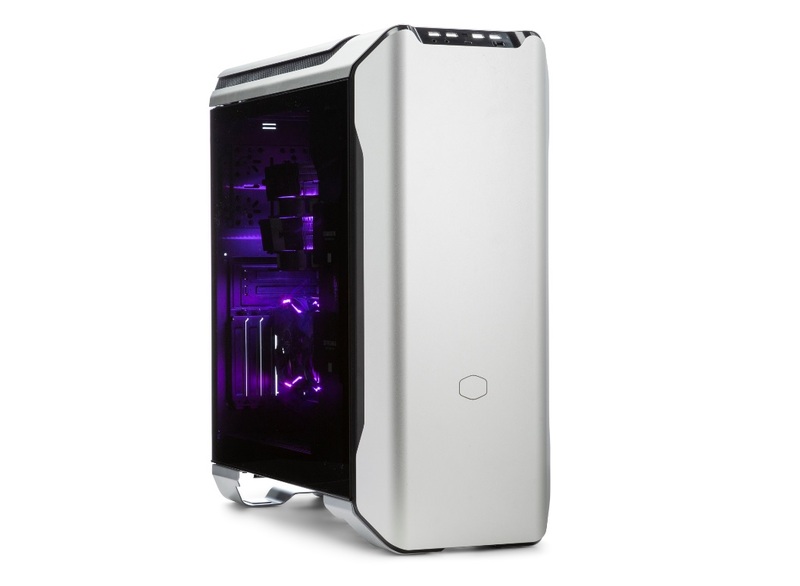 By fusing together the method of cooling with the method of noise-reduction, the MasterCase SL600M enables components to run efficiently for work, for play, and for everything in between.